This article is written by Luxury Daily and the original version can be found here. Premium automakers have descended on the annual Geneva Motor Show to showcase innovative electric vehicles and mark milestones. Geneva is the first European auto show of the year, leading luxury marques to look at the event as an opportunity to spotlight new concepts. However, some automakers have decided to sit out this year’s festivities, which run through Mar. 17. While Switzerland does not have its own automotive industry, several German automakers are among the brands emphasizing their electric credentials at Geneva. BMW is premiering the electric model of its 7 Series at the show, as well a plug-in hybrid variant of the X3. Production of the BMW X3 xDrive30e begins this December, and the BMW Group plans to have at least 25 models of electrically powered vehicles by 2025. Mercedes-Benz also revealed its Concept EQV, with a purely battery-electric drive system, at Geneva. Also making an appearance at the Motor Show is Mercedes’ CLA Shooting Brake, a sleek car designed with younger drivers in mind. After the e-tron debuted at Geneva in 2018, Audi is returning with its fully electric Q4 e-tron concept. The Q4 will be the automaker’s fifth electric vehicle introduced by the end of 2020. British automaker Aston Martin will be reviving the Vanquish name at the Motor Show with the Vanquish Vision Concept. The marque is slated to start production on the mid-engined supercar, which includes a bespoke bonded aluminum structure, in 2022. Aston Martin is also exhibiting its AM-RB 003 and the Lagonda All-Terrain Concept. To celebrate its centenary, British automaker Bentley Motors is presenting a range of new models at Geneva. 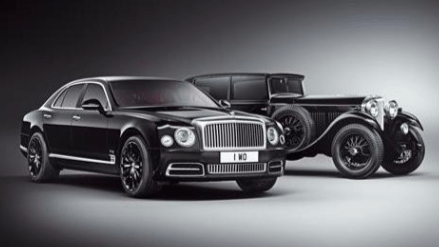 While the Bentayga Speed and Continental GT Convertible are making their first-ever public appearances, the Mulsanne W.O. Edition by Mulliner is making its European show debut. The Bentayga Speed can reach speeds of up to 190 mph, making it the world’s fastest production sport utility vehicle. French automaker Bugatti is celebrating its 110th anniversary with the one-of-a-kind Bugatti La Voiture Noire. On display at Geneva, the hypercar was sold for 11 million euros, or about $12.4 million at current exchange, before taxes (see story). After unveiling both the I-Pace SUV and Range Rover SV Coupe in Switzerland last winter (see story), British automaker Jaguar Land Rover skipped this year’s Motor Show. Mass-market players Ford and Volvo also chose not to attend Geneva, while BMW, Mercedes and Audi skipped January’s Detroit Auto Show. Additionally, luxury automakers, including Audi and Lexus, leverage the Consumer Electronics Show as a platform to showcase their technological innovations. As the automotive industry continues to evolve, many of the initiatives at CES revolve around automation and infotainment systems (see story). Away from auto shows, luxury EVs also continue to be at the forefront of many recent campaigns. Sales of electric vehicles remain a small, but reliable, percentage of the automotive market. More than 2.8 million EVs are expected to be sold in the upcoming year, according to Frost & Sullivan. This figure includes plug-in hybrid electric and battery-electric vehicles, which will make up 67.9 percent of EV sales (see story). Audi used one of the biggest advertising platforms to bring awareness to its new electronic endeavor, as the EV category grows. Taking advantage of the biggest commercial day of the year, the automaker showcased its new e-tron concepts during the second quarter of Super Bowl LIII. The minute-long commercial touched on the notion of utopia and the love of cars, which is known to span generations (see story). Meanwhile, Land Rover’s updated Evoque features a mild-hybrid system and responsibly sourced materials and is advertised to urban, environmentally conscious drivers. 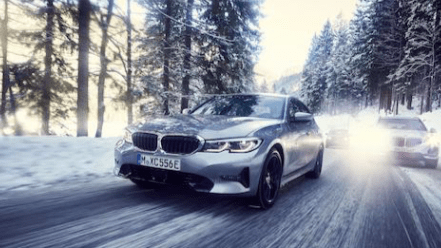 The automaker also reinforced how its compact SUV retains the brand’s adventurous nature in a recent video campaign (see story). Luxury Daily gave permission to repost this article. See the original version here. Learn about the 2017 Geneva Motor Auto Show.